2017 is being hailed as the Age of Customers and the Age of Digital Transformation where software development life cycle will be driven by end user experience causing a significant shift in the way how software is designed, developed, tested, and even deployed in production. Enterprises are embarking on a journey of Digital Transformation with ultimate focus on user experience and brand building. Although the impact of digitization on the business is not new, the digital world is entering a new age which is highly focused towards the confluence of consumer demands. It is forcing not only developers & testers, but also operations to put the user experience first because its most likely that users will switch loyalties if the end-product is not up to their expectations. Hence, it becomes imperative to focus more than ever on Usability Testing of the application(s). With the spread of #OmniChannel, users have multiple interactive touch points for their transactions, which are key for #UX metrics. The path to digital transformation is strewn with multiple challenges. Apart from delivering a nearly flawless application, one of the key challenges is the changing nature of user expectations – one satisfied user does not guarantee another. However, if a product is launched without proper usability testing, it will most likely frustrate and possibly alienate the users which would have substantial impact on the business. Hence, a key determinant in Usability Testing is to understand the target users of the application & their business needs and to try and mimic their behavior during the entire software development life cycle. This allows identifying the user specific problems much early in the life cycle and reduce the end-product release time to meet the expectations of the user. With the advancement of Omni channel, users have at their disposal multiple interactive touch points for their transactions. This puts a lot of pressure on enterprises to measure the user experience across multiple channels like Web and Mobile, to ensure unified user experience that results in higher conversion rate. For example, say a User uses the app/website of an electronic retailer and identifies a deal on an electronic item, but due to time constraint he doesn’t buy it at that moment. However, when he revisits the website, the mobile or web application interface is so complex that the user drops the idea of buying it from that retailer and gets it from somewhere else. Thus, purely due to the complex user interface of the application, that retailer loses a customer to a competitor. It thus becomes imperative for retailers to ensure that the usability aspects of their applications are validated to avoid loss of business. Usability Testing is a phase of testing where application(s) are tested to determine if they are Useful, easy to Navigate, Accessible, Usable, & Desirable. In essence, it ensures that the end-product satisfies users’ demands and can deliver a consistent & seamless user experience. Usability Testing is the key to success, and if done right, provides a good user experience that enriches a brand and leads to more uses, more users, and ultimately more growth. With the growing number of mobile devices and browsers, Automation of Usability Testing has a significant role to play. A huge number of Enterprises have already adopted DevOps to accelerate their digital transformation journey where Developers, Testers, & Operations teams work in collaboration to achieve Continuous Integration, Continuous Delivery, and ultimately Continuous Deployment of the application. Even small and medium enterprises are embarking on this transformational DevOps journey to take advantage of cross-functional teams for more frequent production deployment. Did you know? Apps are subjected to #UsabilityTesting to assess if they are Useful, easy to #Navigate, Accessible, Usable, & Desirable. User feedback and behavior patterns are being captured and tested in-depth to avoid unsatisfied users when the application is deployed. As DevOps begins to gain maturity, we will see a lot of DevOps teams working with real users for continuous feedback and keep the expectations of Real Users alive throughout the development lifecycle. DevOps helps quicken the #DigitalTransformation of organizations, where teams work collaboratively to achieve CI & CD of apps. Digital revolution is making Enterprises invest more in IT infrastructure, tools, resources, and marketing. 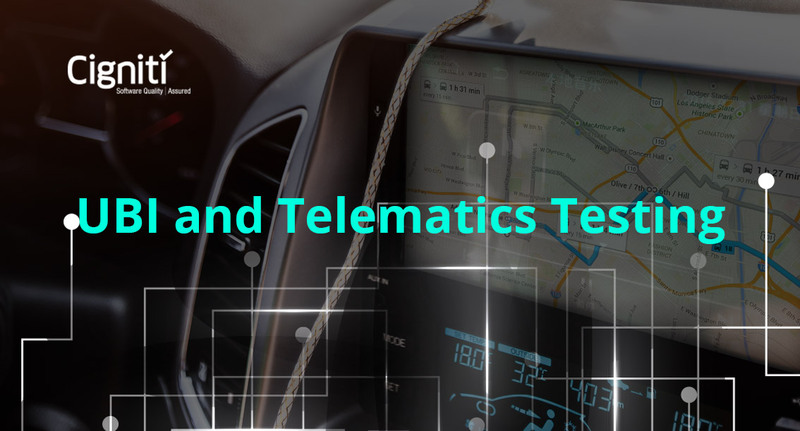 However, it will not have a proper impact if they continue to follow traditional functional testing where Usability testing is just another milestone to be achieved. The concept of Quality is built into the way testing is being carried out, and if it cannot make the end user happy, then the whole testing function will fail. Hence it is imperative for Enterprises to understand the importance of Usability – especially in consumer & enterprise markets, and its influence in the success of business. They need to devise strategies to encash the opportunities by leveraging Professional Usability Testing service providers to elevate their end user’s digital experiences. Cigniti Technologies, Global Leaders in Independent Software Testing Services, places Usability Testing practices at the heart of Testing with deep focus on Customer satisfaction. We help you in your Digital transformation journey by means of IP-Led Solutions & Business driven testing supported by cloud enabled mobile device lab with more than 400 mobile devices that provide maximum coverage. All this is ably powered by BlueSwan™ – our next generation proprietary software testing platform. Connect with us to understand our offerings in Usability Testing and how our testing practice can bring your users back. Ankit Agrawal, Manager, Enterprise Solution Group, is responsible for providing innovative & technically viable solutions to US-based clients. He brings in 11+ years of strong technical & business experience spanning across Project Delivery, Presales & Solutions, and Bid Management in Quality Assurance & Testing. He also has experience in providing successful Consulting Solutions to Global Retail & CPG customers. 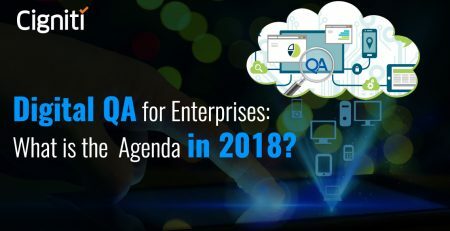 Digital QA for Enterprises: What is the Agenda in 2018? 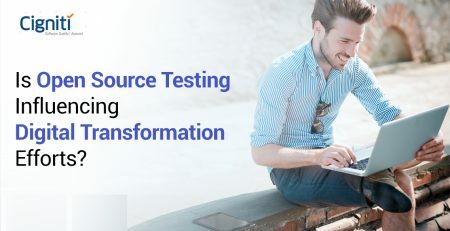 Is Open Source Testing influencing Digital Transformation efforts?